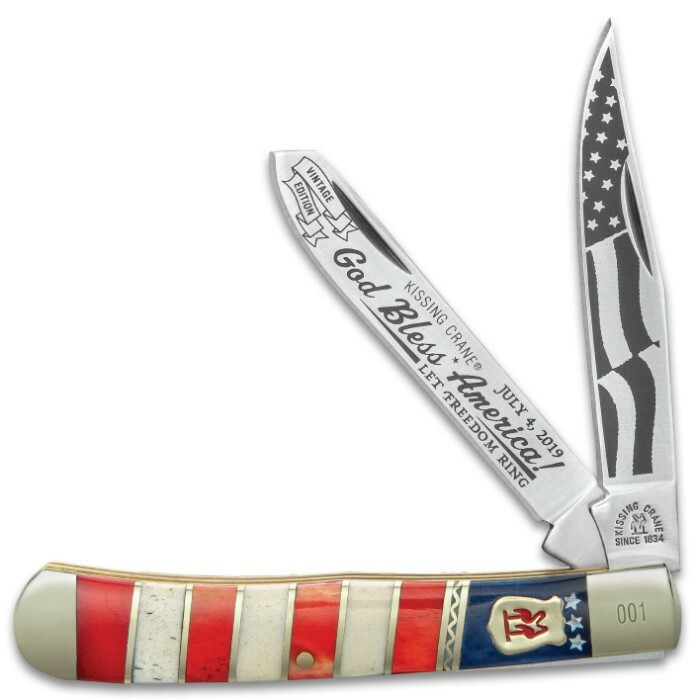 Celebrate the Fourth of July with the Kissing Crane 2019 Fourth of July Trapper Pocket Knife. 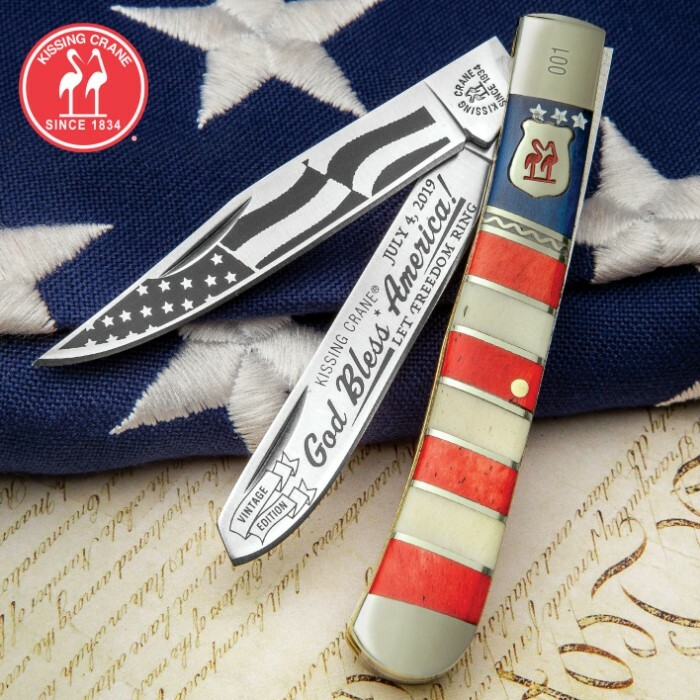 This limited, vintage edition pocket knife has two razor-sharp stainless steel blades featuring a flag motif and the message, “God Bless America! 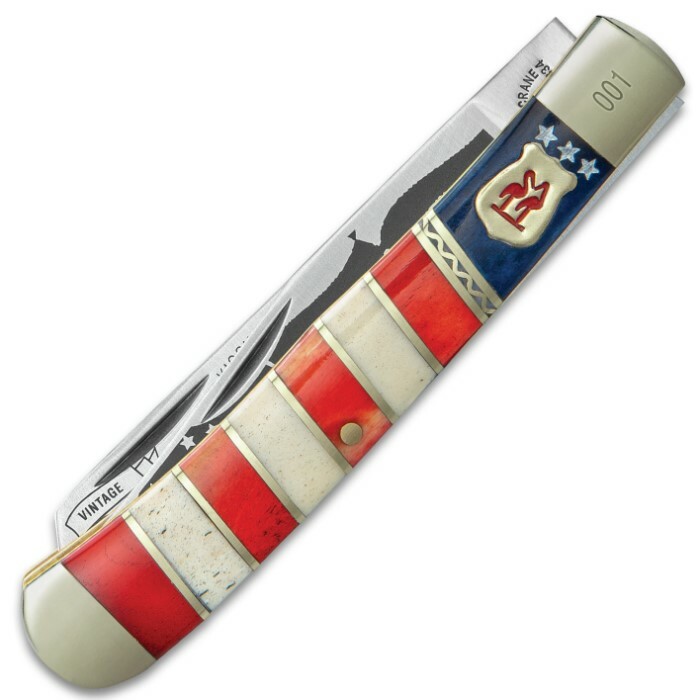 Let Freedom Ring.” The handsome genuine bone handle is done in red, white and blue panels, separated by brass bands and accented with white stars. Brass-plated pins, bolsters and the classic Kissing Crane cast shield complete this exquisite design. Each one is laser serialized on the bolster.